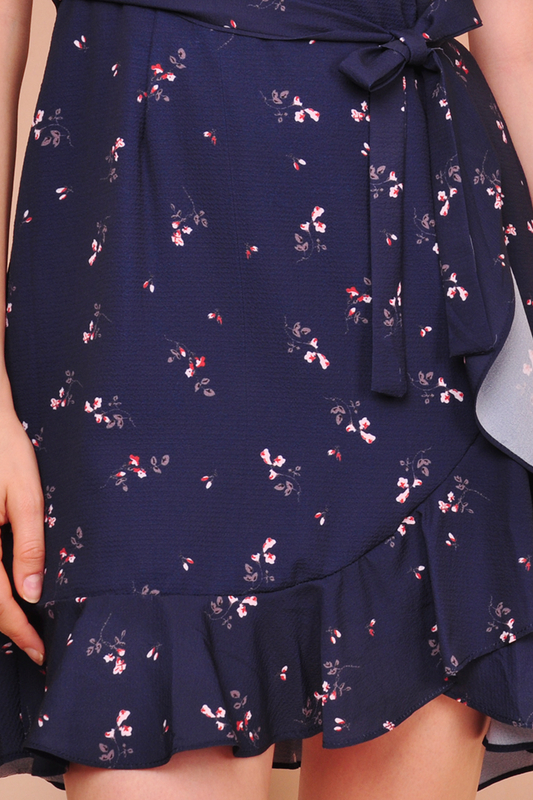 Get the perfect Spring/Summer look with our Caelyn Petite Floral Dress that features a lightweight flowy fabric and ruffle hems that adds a feminine and sweet touch! This dress also comes with petite floral prints all over that defines your sweet look for the season and a waist sash to flatter your silhouette even better. Dress this up with a pair of strappy sandals and throw over a rattan bag and fedora hat!